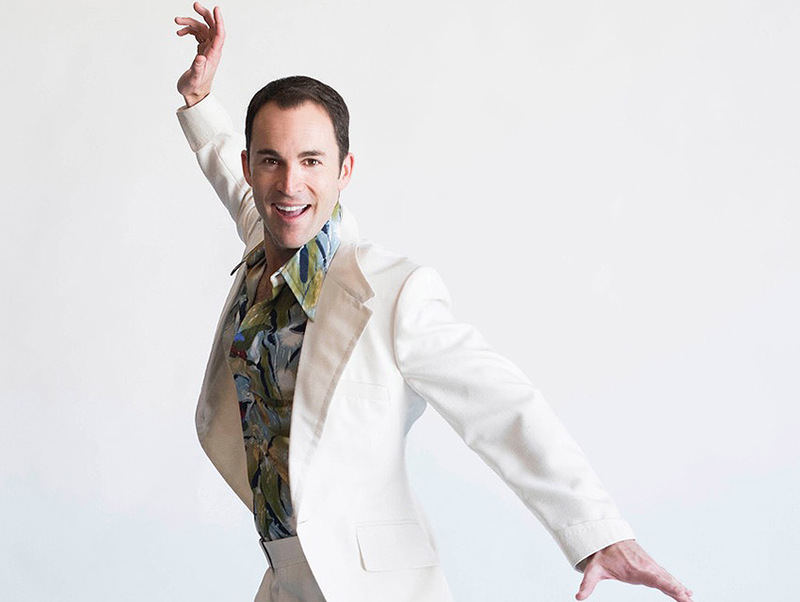 Andrew Bongiorno stars as Peter Allen in "The Boy From Oz"
When Hugh Jackman made his Broadway debut in 2003 playing songwriter Peter Allen in The Boy From Oz, he was at the center of a big, splashy musical with over 25 performers and a full band in the pit. After more than 365 performances in New York’s 1,417-seat Imperial Theatre, Jackman won a Tony Award. This Friday night, April 29, director Michael A. Shepperd will open Celebration Theatre’s new production of The Boy From Oz at the Lex in Hollywood—only slightly smaller than the Imperial with 55 seats. The ambition to tackle such a big show in a small space began as a conversation between Shepperd and Celebration Theatre co-director Michael Matthews. “We order our drinks and we sit down and have our drinking meeting,” Shepperd says. “At the end we have come up with this lavish season and all the stars that are going to do our shows. Wouldn’t it be funny if we got The Boy From Oz and Hugh Jackman came and did this in our theatre? Of course, I send over the letter with everything and I got the phone call four days later.” Alas, Jackman is not part of the deal. Actor Andrew Bongiorno will be playing Peter Allen in this production. Over the past two years, Celebration Theatre has lost its space on Santa Monica Boulevard, tried a few other venues as their home, and have, at least for now, settled in at the Lex Theatre. When asked, Shepperd admits there are parallels between Peter Allen’s story and Celebration’s recent history.